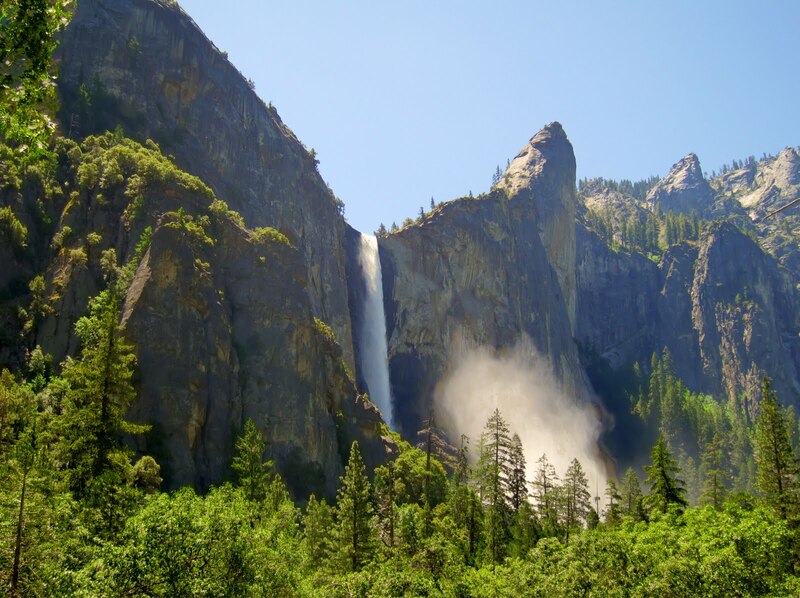 There are nine major waterfalls in Yosemite Valley and countless others all over the park. 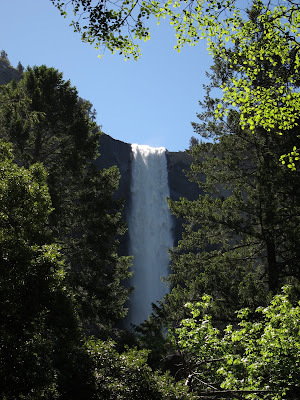 The first major one you get to coming from the south entrance is Bridalveil Fall. Bridalveil is 617 feet high and flows year round. 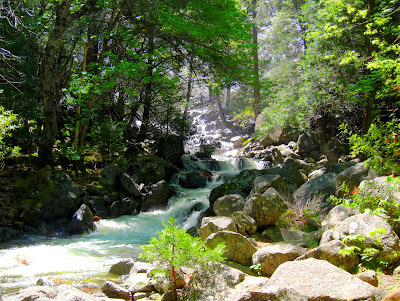 This year, there was so much water, the waterfalls were actually hard to see from the base. There was just too much mist to get a good view up close. For perspective see the mist in the photo above as seen from across the valley. The waterfall was actually hard to photograph from the normal viewing area. When you got close the area was surrounded by a thick mist and the paths were covered in water. Everyone who got close was soaked, but what fun! The cataracts below the falls were pretty to watch while drying off. Gorgeous photos. 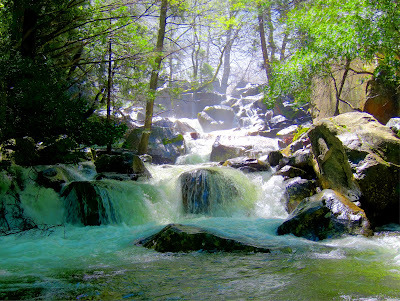 I am sending the link to my daughter, who likes the outdoors in general and waterfalls in particular. I can only agree with Mary; Stunning! I most like the 4th picture from above.